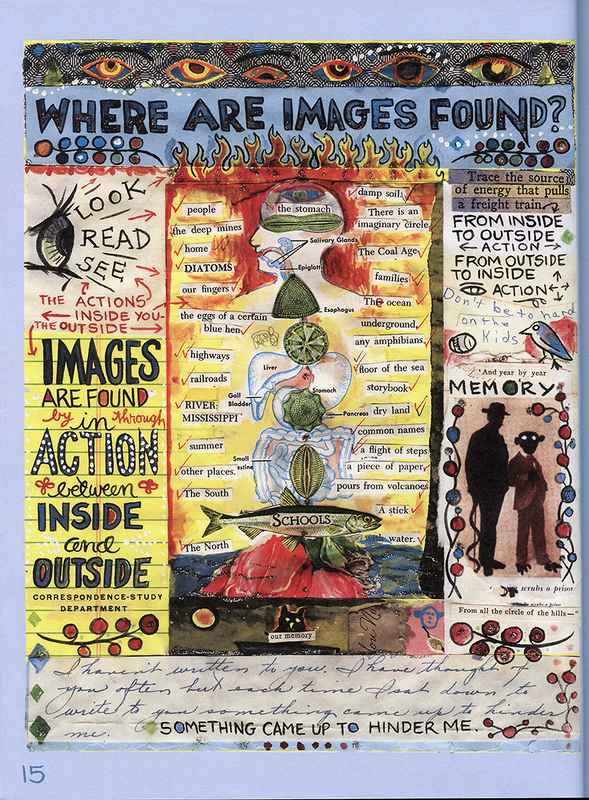 In the first fifty pages of her graphic novel, What It Is, Lynda Barry asks questions like “What is an image?” and “Where are images found?” She seems self-conscious about her ability to create successful images as an adult artist, and she seems worried that she has forgotten how to play and use her imagination like she did when she was a child. The process of formstorming described by Ellen Lupton and Jennifer Cole Phillips in Graphic Design: The New Basics relates to the creativity and playfulness Barry fears she has lost. When you engage in formstorming, you give yourself a design problem with specific parameters, and then you solve the problem over and over using various strategies until discover you an interesting and nuanced solution. Repetition leads to discovery and creativity because you get the most obvious and easy solutions out of the way first. One of the categories of formstorming is dailies: Some examples include daily designs for record covers. daily ideas for apps, and daily collage compositions. Many of the pages in Lynda Barry’s book, like pg. 15 shown here, are composed from cut-out elements, and could be considered a type of daily formstorming. She makes collages that include words cut from books or magazines, as well as what seem to be letters or school papers. There is more than one type of handwriting and some of it seems to be made by children. Each collage is different, but they feel visually cohesive, like they are using the same source material, and that is why they feel like a type of formstorming. This entry was posted in Sample Posts by Your Professor, Spring 2017 Archive (336). Bookmark the permalink.